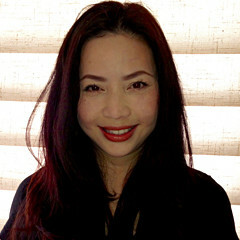 Nina Yang Bongiovi is a feature film producer with over 17 years of combined production, finance and management experience in the entertainment industry between Hollywood and Asia. She started her film career as a director’s assistant in martial arts action films in Shanghai. Challenged and inspired by the art of storytelling and the logistics of producing, Nina started her own independent production company in 2002, based in both Taipei and Los Angeles, and consulted investors primarily from Asia. After many years navigating the trenches of Hollywood, Nina met her now producing partner Forest Whitaker in 2009 and they set out to champion distinct filmmaker voices under the banner Significant Productions. During their first year in operation, Nina and Forest met filmmaker Ryan Coogler, who was still in school at USC’s MFA program through an introduction by a film professor. They went on to produce the critically acclaimed Fruitvale Station, written and directed by Coogler, which won the Audience and the Grand Jury prizes at the 2013 Sundance Film Festival, the Cannes Film Festival’s L’Avenir Award, the Film Independent Spirit Award for Best First Feature, the Producers Guild’s Stanley Kramer Award, and more than 40 other prestigious awards worldwide. The film was released theatrically by The Weinstein Company. In 2015, the producing duo returned to the Sundance Film Festival with two feature films in U.S. Dramatic Competition: Dope, written and directed by Rick Famuyiwa, and Songs My Brothers Taught Me, written and directed by Chloé Zhao. Dope and Songs My Brothers Taught Me also had their international premieres in Directors Fortnight at the Cannes Film Festival and both films continue to thrive on the 2016 awards circuit, receiving nominations from NAACP Image Awards and Film Independent Spirit Awards, respectively. Nina and her finance partners established MNM Creative to support Significant Productions’ projects covering features, documentaries and digital endeavors which all strive to be at the forefront of discovering emerging talent, developing and producing quality projects with a focus on diversity in front of and behind the camera. Nina is fluent in Mandarin Chinese and received her Master’s degree in Entertainment Management from the University of Southern California.